RICHMOND, VA (WWBT) - Four Richmond area high school robotics teams are preparing to face competition from around the world at the FIRST (For Inspiration and Recognition of Science and Technology) Championship presented by Qualcomm in Detroit, Michigan. 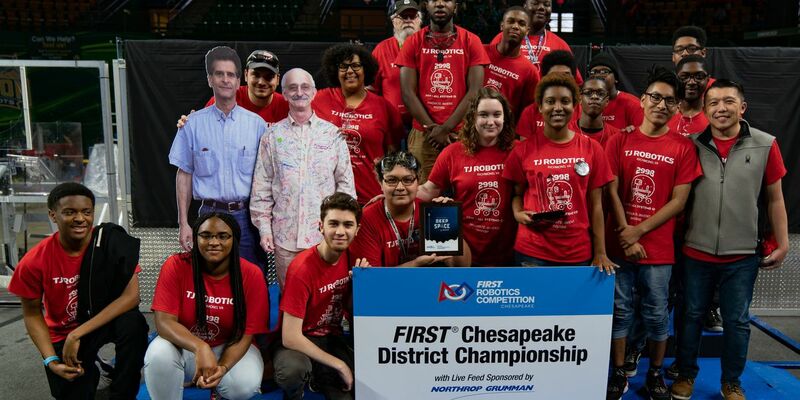 The teams won spots at the international tournament during the FIRST Chesapeake Championshp this weekend at George Mason’s EagleBank Arena, where they took on the best high school robotics teams from the District of Columbia, Maryland and Virginia. FIRST Robotics Team 2998 – VikingBots – Thomas Jefferson H.S., Richmond, Va.
Each team had just six weeks to design, build and test their robots, with help from their volunteer mentors. The FIRST Championships in Detroit will take place from April 24-27.